Really good sized accomodation. Really great central location to explore Cortina in the evening. Lovely views from the balcony of the Dolomites. 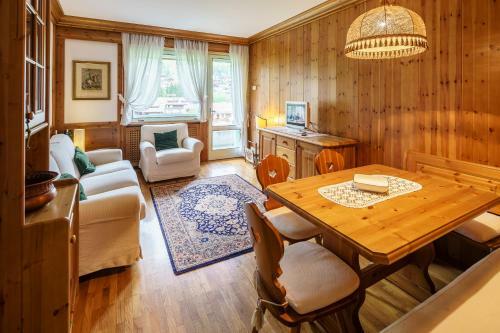 The apartment is fully stocked with everything you need for two nights in the mountains and the great location makes it accessible to maximize your time on the slopes. The cabin also has a great heating system with a thermostat that works perfectly. The dish washer is a major plus, too. The atmosphere, like you've arrived to really Itallian family in '60. The space is huge: the bedrooms are big, the dinning room and the living room are very large. Good location, very central, easy to get by walk and by car. Grocery just some 300m away. The apartment is in a comfortable size for four people - big enough bedrooms and living room. The kitchen is well equipped - everything you need is there. Very nice view from a terrace. Great view from the apartment and good location. The host did try and sort most issues, (like no WiFi, toaster or kettle). Very spacious accommodation. Marvellous mountain views. Excellent central location. Mini deck off of the living room and the upstairs bathroom were out favorite parts of the apartment. Good location, Double room with the balcony is ok. 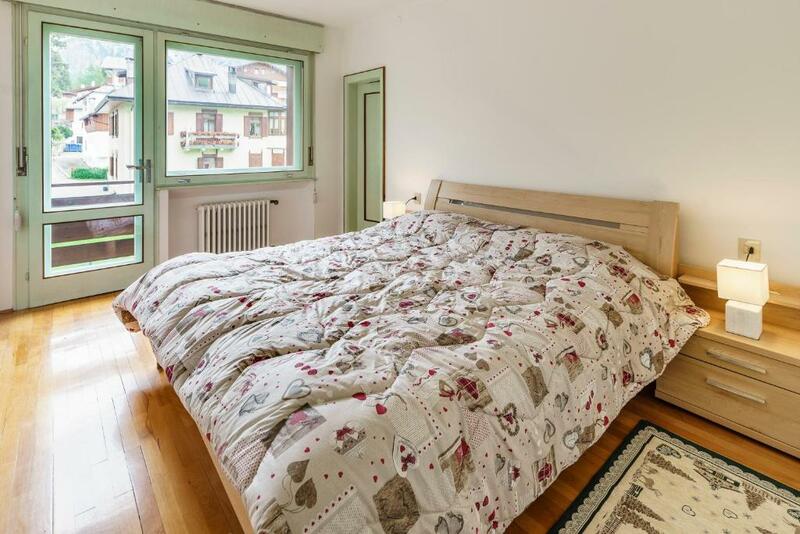 The 2 double-bedrooms with views of the mountains/dolomites were very spacious, 3rd double bedroom not so, then 4th room with 2 single beds. All the rooms had lots of cupboard space and the kitchen had all the necessary china/utensils to prepare meals. Good induction stove however, only coffee makers(aluminum) which did not heat on the induction plate. After calling the agent, they did bring a stainless steel coffee maker on our 3rd morning to make proper Italian coffee. Lovely large 3 bed, 2 bath apartment on 3rd floor. Great views. Good location just a short walk from the high street. 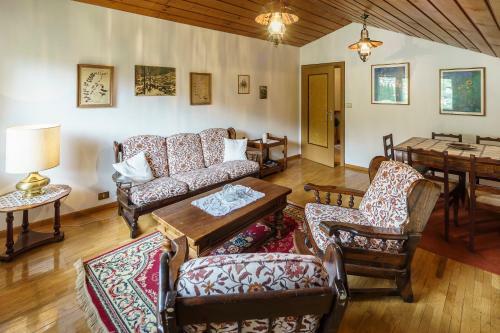 One of our top picks in Cortina dʼAmpezzo.Featuring free WiFi throughout the property, Villa Ca Bonel is located in Cortina d’Ampezzo, 1,650 feet from Ski Elevator Col Druscie. Ski Elevator Faloria is 1,650 feet from the property. The accommodations is equipped with a TV. Some units include a seating area and/or balcony. Towels are featured. An array of activities are offered in the area, such as cycling and hiking. 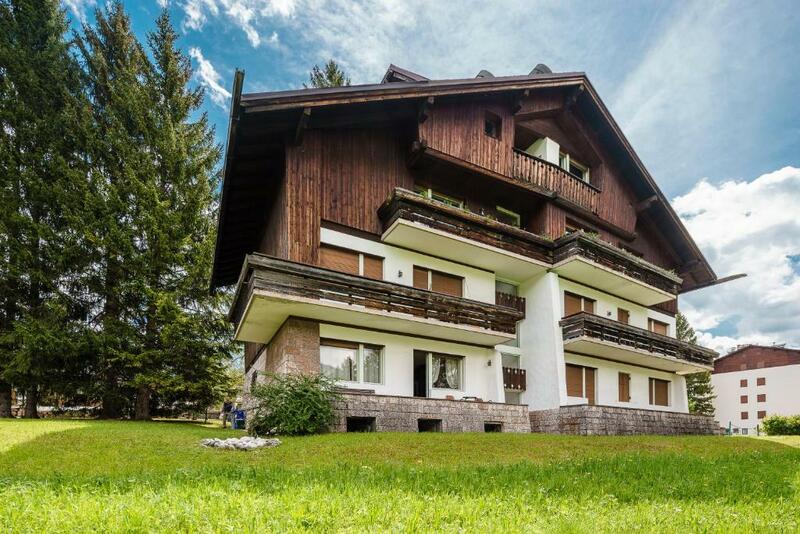 Cortina – Mandres - Faloria is 1,950 feet from Villa Ca Bonel, while Cortina - Col Drusciè is 2,300 feet away. 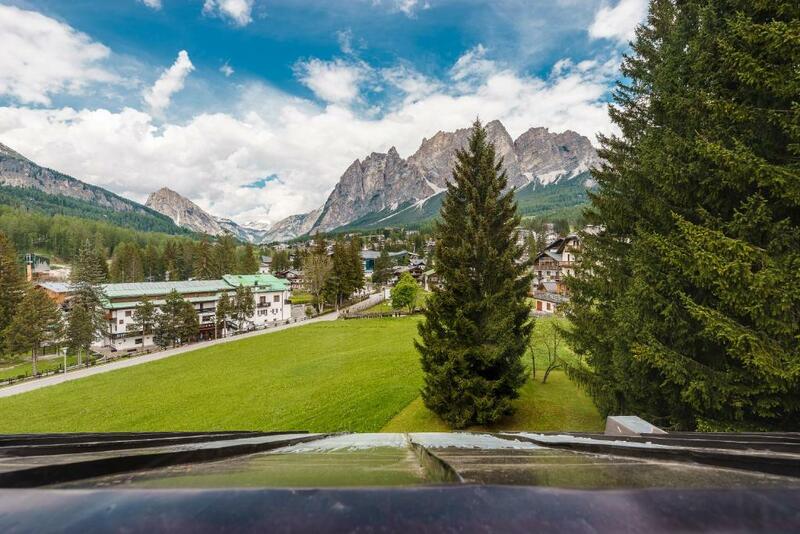 뀐 Located in the top-rated area in Cortina dʼAmpezzo, this property has an excellent location score of 9.3! When would you like to stay at Villa Ca Bonel - Stayincortina? 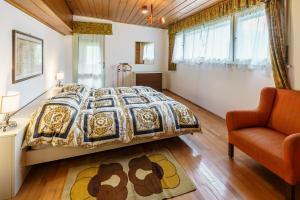 *** With a surcharge of 30 EUR you will find the apartment heated at arrival. If interested on the services, please send your request at least 48 hours before check in. *** Please note that the first set of towels and bed linen is included in the rate. Any replacement is available on request with an extra cost of 20 EUR per person and set. 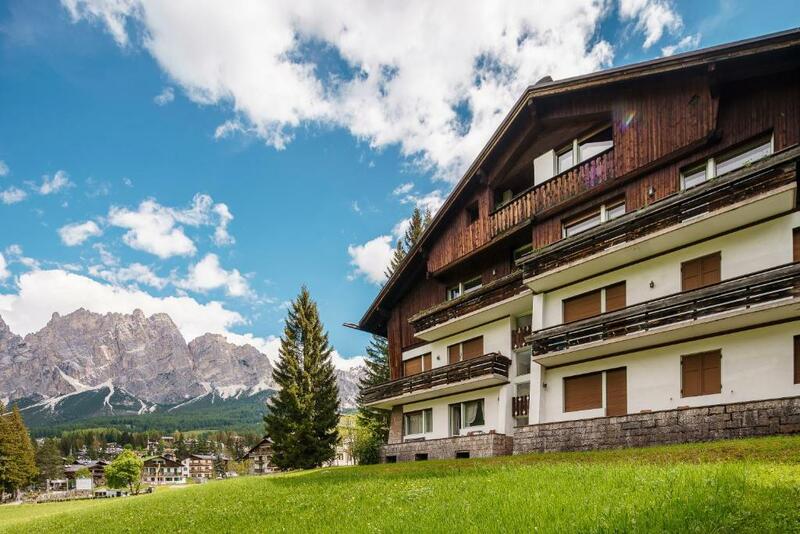 Stayincortina specialises in quality serviced apartments in Cortina d'Ampezzo, offering flexibility and great value. Each of the apartments in our portfolio are handpicked for their excellent locations and range of quality facilities. Live like a local, not just a guest, and enjoy a front row seat to one of the world's most fascinating natural scenery, while feeling like at home. Stayincortina: your "home away from home" in the heart of the Dolomites! House Rules Villa Ca Bonel - Stayincortina takes special requests – add in the next step! Villa Ca Bonel - Stayincortina accepts these cards and reserves the right to temporarily hold an amount prior to arrival. Please note that the first set of towels and bed linen is free of charge, any change has to be requested and comes with an extra cost of 20 EUR per person per kit. Please note that check-in and key collection take place at: via majon di sopra 20, Cortina d'Ampezzo 32043. No shower, older services and a little dated and antiquated but serviceable . The equipment provided in the kitchen was fairly poor. There were two italian style coffee machines but they didn't work on the induction cooker. Or they worked but it literally took about half an hour. Why couldn't they provide a cafettiere? Also there were no wine glasses at all, and the glasses in general were too small. Only one tea towel provided. Only one pillow each provided. Putting some more thought into these relatively easy things would have meant an excellent rating. Check-in policy could be better. If you travel from a distance it's not always a guarantee that you'll get in time. If you late, office will be closed. It was a stressful arriving by car from Riga with calculations to get there in a 3 hours gap. Car parking is poor. If the apartment house were completely full, there would be not enough places for cars. It is not critical, but keep in mind. Also, if you are a skier, actually there is no normal Ski-depot with snowboots dryer in a house. Uninterrupted renovation for three days in a neighboring apartment during our stay-it was unforgettable ! Doors to showers and toilets do not close. Both of the beds that were advertised as doubles were actually two twins joined together with a gap in the middle. One pair of keys had trouble locking the door from the inside, but otherwise the cabin is beautiful, cozy and provided an amazing view. Our master bed was 2 single beds joined— not comfortable! The kitchen is poorly equipped — no dishwasher/microwave/toaster. It would have been helpful to have laundry detergent and washing up liquid supplied. We did not appreciate the heating being turned off on the morning of our departure, resulting in a cold morning bath. The furniture and decorations are dated. Poor experience!The check-in time is so early and we cannot get the key.And the host refused us any possible way to check-in!We lost our one night money!And con only find other apartment to live. The entrance and stairs were dirty and not maintained. Parking is for 2-3 cars and on the gras, not asphalt. The beds were extremely uncomfortable, there was not a shower, just a shower head within a bath - this made it very difficult for our elderly parents to shower. The kitchen was missing basic amenities. Only one wine glass, no tea towels, no toaster or kettle. Initially no WiFi, but was fixed on request. The general upkeep of the apartment was poor. Check in time ends too early. Bathroom is disaster.